Every year I have a habit of making cards for Mother’s day and this year is no exception of course. This year, I wanted to make paper roses on a card. 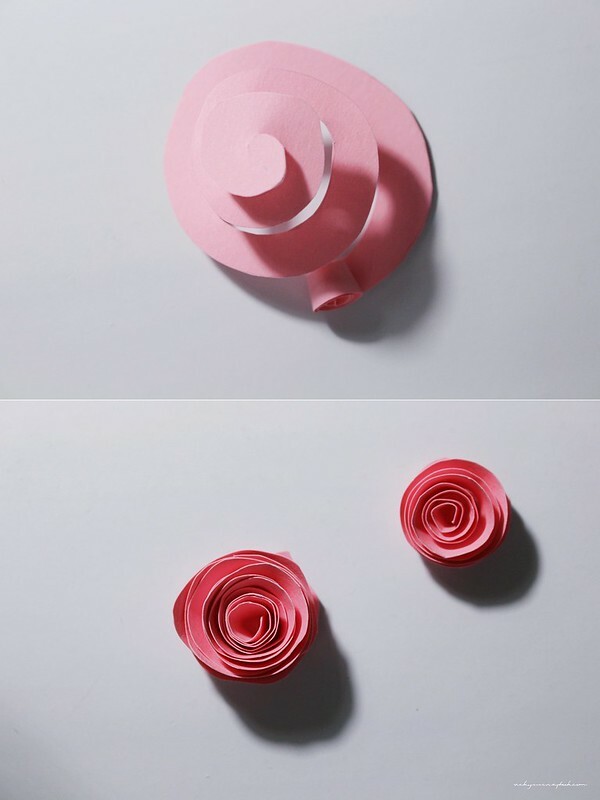 I saw some pretty simple methods of making roses so I gave it a try. 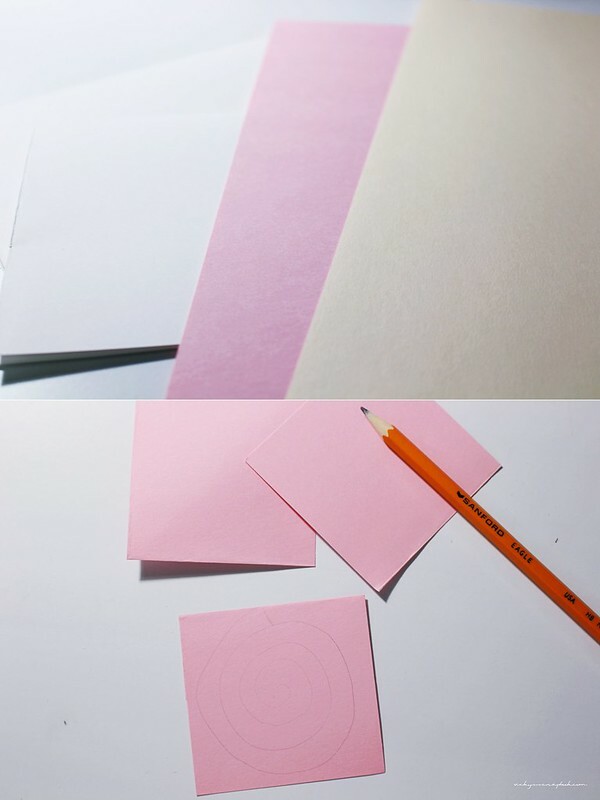 I started with 3 different colors of paper: pink, beige, and white. With the pink and beige, I cut them into different sized squares and drew in swirls in them. Then I cut out the swirls and started rolling it from the ends until I run out of paper. At the ends, I taped it down with double sided tape. Cutting it right along the lines of the swirls creates a very neat/organized rose (shown on the right). 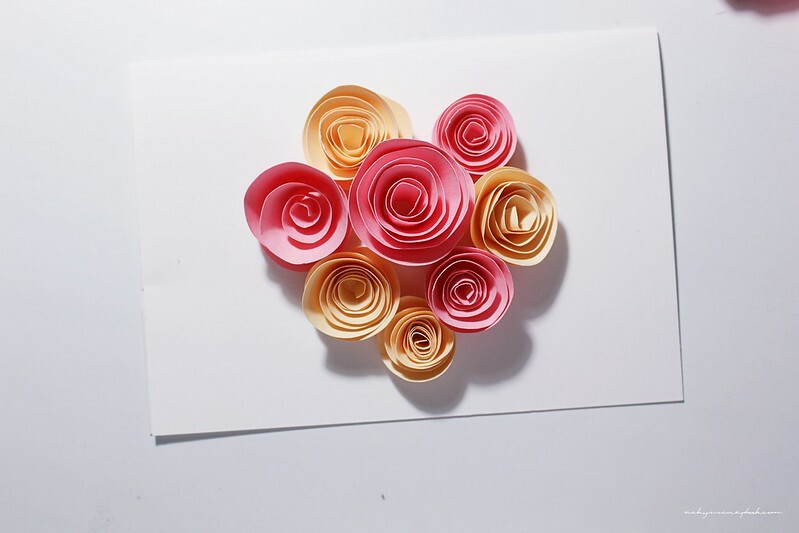 If you cut it in a swirl like form along the lines, you get a more disordered rose (shown on the left). I made 8 of them, taped it onto the middle of a folded sheet of paper, and created a heart shape out of the 8 paper roses. I’ll probably be giving this to her on the day of Mother’s day and then take them out to lunch. Thank you. This is a bit late but hope you had a happy Mother’s day as well! I absolutely love this card Vicky. It’s so beautiful. Oooh this is so pretty and creative ❤ 😀 You always make the best cards! I have them at my cube at work hehehe! Haha you still have them?! I just wanted to let you know that I will be featuring this DIY on my blog tomorrow as one of my favorite mother’s day gift ideas! Wow! These would be great sellers! I’m totally going to recreate this for Mother’s Day. Love the combination of the two colors you’ve used! Thank you Lynn. How did it go?